The polished and the rough, material and design, a range of exclusive design is born: the Arden furniture range. Its unexpected geometry translates a distinct simplicity and silent grandeur that gives the bathroom an irresistible identity. 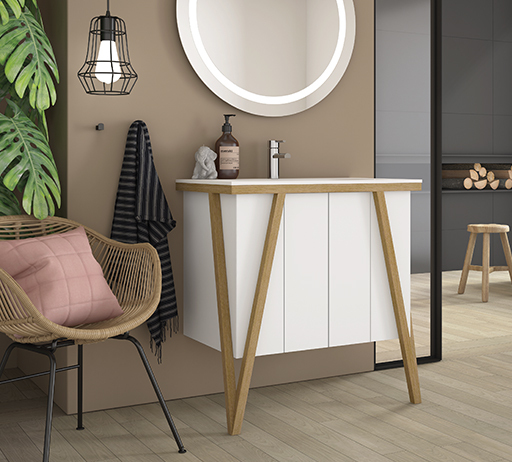 Produced in authentic materials, the Arden are unique pieces - carved out of solid beech wood - joined by the luxurious Smooth washbasins in solid surface.